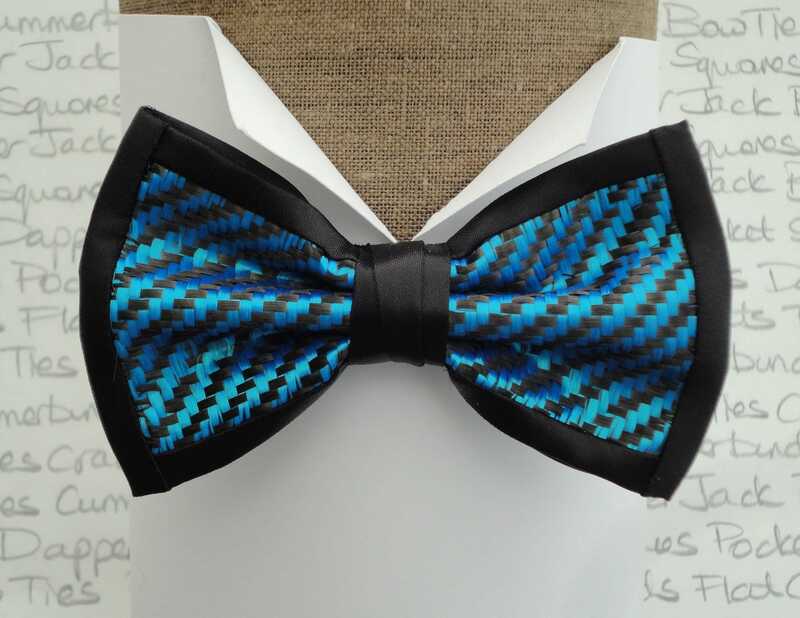 Bow ties, carbon fibre and blue polyester pre tied bow tie, on an adjustable band. Trimmed with black satin fabric and lined in cotton. 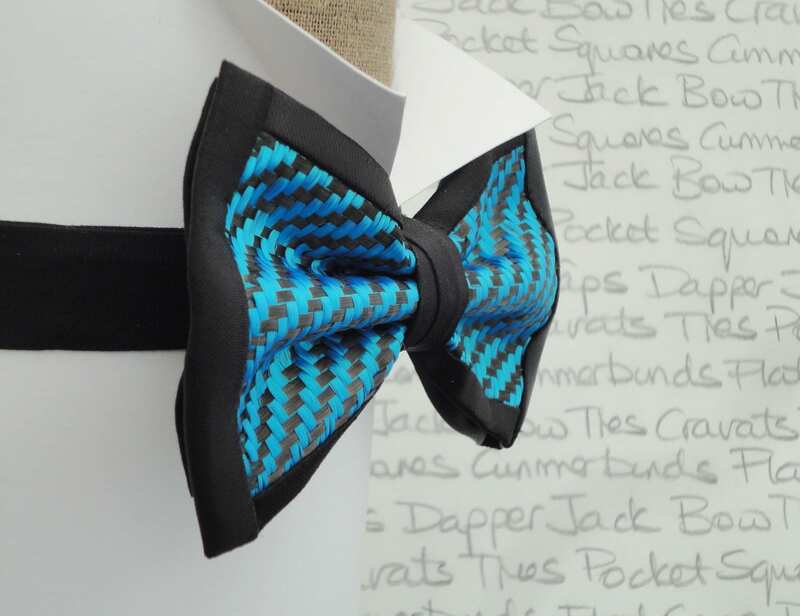 Due to the raw state of the carbon fibre with no resin used to fix the fibres, it is recommended to handle the bow tie by the centre satin fabric section. This item cannot by washed or dry cleaned.